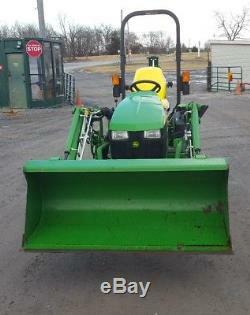 2012 John Deere 1025R Compact Tractor W/Loader, Mower, & Backhoe. John Deere 60 Mower, Deck Serial #1M0160DWCM031136. 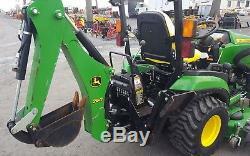 John Deere 48 Quick Attach Loader, Model H120, Serial #1POH120XHD019463. 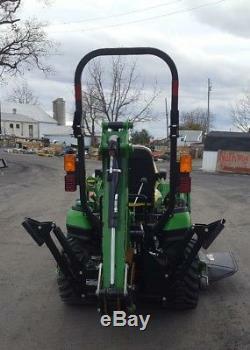 John Deere 260 Backhoe Attachment, Serial #1LV020XVD0070997. Ready To Go To Work. Great For Around Your House Or Small Farm. I do my best too describe as best as i can. Be sure to check our other listings out!! The item "2012 John Deere 1025R Compact Tractor WithLoader, Mower, & Backhoe" is in sale since Monday, February 19, 2018. This item is in the category "Business & Industrial\Heavy Equipment\Tractors".